Bring precision engineering and quality craftsmanship to personal care with the Pour Homme 2-Piece Grooming Kit. 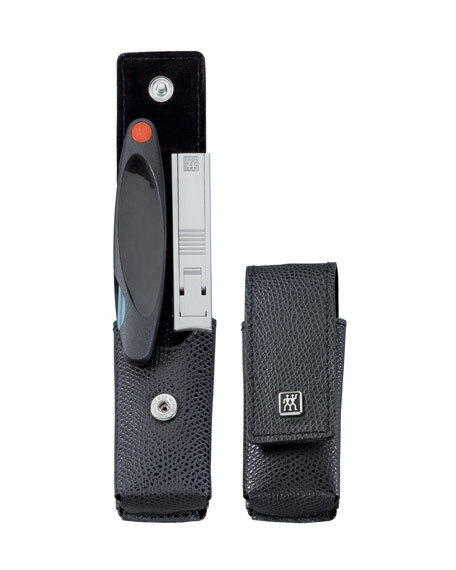 Travel-ready clipper and file: quality craftsmanship and precision engineering in a convenient leather carry case. For in-store inquiries, use sku #236905.